In 1845 these words were written by John O’Sullivan, a democrat leader and editor of the New York newspaper ‘The Morning Post’. 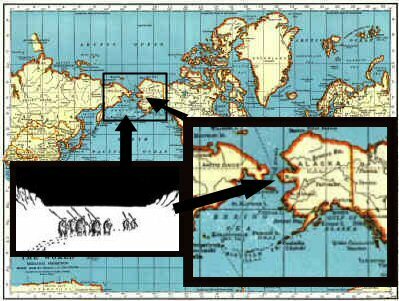 O’Sullivan was expressing the long held belief that white Americans had a God-given right to occupy the entire North American continent. It was not a new idea, nor was it historically confined to America. 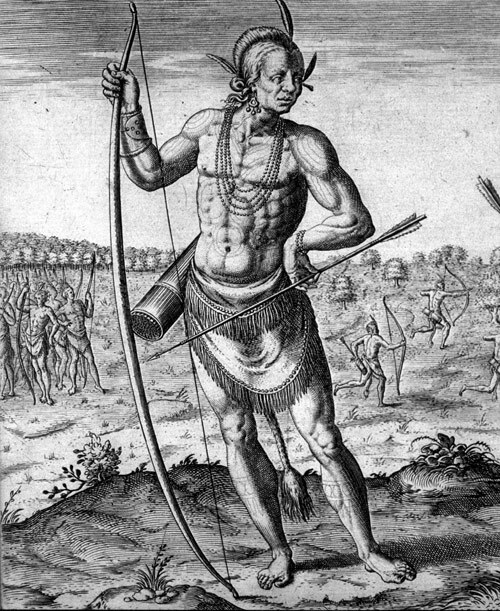 Manifest Destiny as a concept was exercised in 1492 by Christopher Columbus and the Spanish monarchs who initially sanctioned the colonisation of South America. 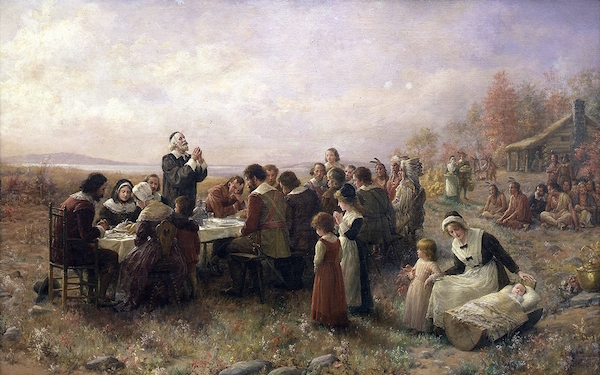 It was also exercised by the Pilgrim Fathers when they landed at Plymouth Rock in 1620, by the British when they colonised Australia and India. Indeed, any act of colonisation and settlement at the expense of another race can be said to be an expression of Manifest Destiny. Once the concept had been given the name ‘Manifest Destiny’ it became widely used, appearing in newspapers, debates, paintings and advertisements. It became the leading light for westward expansion. The discovery of gold at Sutter’s Mill in 1848 prompted thousands to leave their homes in the east and make the journey west to California. In a bid to encourage people onto the Plains advertisements told success stories of those who had claimed land under the terms of the Homestead Act and had become successful. 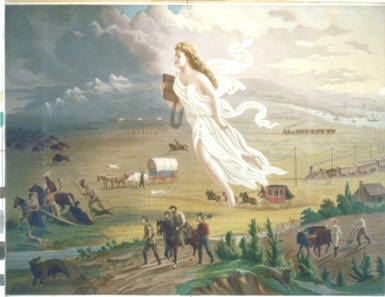 Pictures were painted to encourage people to fulfil their Manifest Destiny. The picture below (Library of Congress LC-USZC4-668) shows ‘America’ floating over the Plains. She brings light to the dark and desolate landscape and shows the way for farmers, travellers, the stage-coach, the telegraph and the railway. Ahead of her wild animals, buffalo and Indians (the darkness) turn and run leaving the way clear for settlement.